The carbon tax, power bills and energy efficiency have been in the news recently. 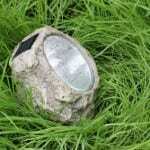 What better time to focus on LED lighting – a growth market which could have huge impacts for sustainability. 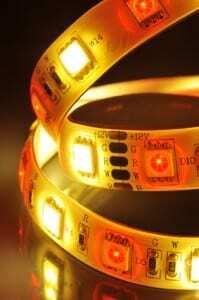 LED stands for light-emitting diode, which is a specific technology used to produce light. Here’s a more technical explanation if you are interested. The key point is, LED lighting is far more efficient than alternatives like incandescent halogen or fluorescent lighting. Longer lifespans also makes it more convenient as well as more cost-effective. Lighting accounts for 20-50% of energy usage in homes and offices, so adopting LED can help save money and reduce carbon emissions. The main downside of LED lighting is the relatively high cost of bulbs, as you can see in the table below. However, this won’t be the case forever. The US Energy Information Administration shows prices for LED and incandescent bulbs converging. At the same time, even better energy efficiency from LED lighting will make it the first choice for all. What’s the state of the LED market in Australia? It’s very hard to quantify a market which is growing so fast. However, McKinsey and Company forecast that 64% of lighting globally will be LED by 2020. The push is coming from Europe and North America. It’s reasonable to think similar trends apply in Australia. 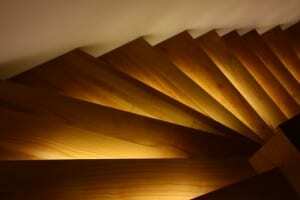 Commercial lighting is often on for more hours per day than domestic lighting. So the return on upfront investment on a more expensive light is quicker. Facilities managers are more likely than householders to do a cost/benefit analysis over time. This means they see the advantage of LED lighting. LED lights also have some benefits for specific business uses. For example better directional lighting from LEDs means retailers can highlight their product effectively. Current light fittings were designed around traditional light globes and LED replacements have to be compatible. There is a solid market for retrofit LED globes for these fittings. Hardware stores stock the most popular, but pricing is still an issue. Facilities managers, environmental consultants and renovation service companies may find it more effective to source direct. Opportunities in new LED lighting products are bigger and more varied. There are new kinds of lighting including strip lighting (just cut to length, peel off backing tape and attach) and light panels which can be embedded into walls. Many promotional items can now be made with LED lights – how about swizzle sticks for a nightclub, or flashing shoelaces for a fitness brand? LED lighting has taken over from neon for promotional signage too. There are even re-usable signboards where you can hand-write your message. 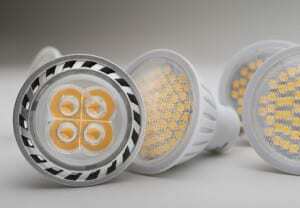 LED products made in China may be for domestic or international use. Quality standards and electrical specifications vary from country to country, so nothing should be taken for granted. China has identified LED lighting as a growth market and there has been significant government subsidy to build the domestic industry. National and domestic subsidy schemes have sometimes overlapped. Some companies have relied on subsidies rather than improving business management and processes, so it is important to conduct thorough audits. After subsidies were cut in mid 2013, a number of smaller companies went bankrupt. On the positive side, oversupply due to subsidisation means suppliers are more flexible about smaller order quantities. Do you need help sourcing LED products from China? Contact Hornet for a no-obligation discussion today. Our services include end-to-end product sourcing and custom manufacturing. If you have already located a supplier, we can assist with factory audits and quality control.